PRESS STATEMENT: The new contract will bring the European top flight also to TV audiences in Belgium, Malaysia and Singapore during the next four seasons. EHF Marketing GmbH, the marketing arm of the European Handball Federation, has announced it has reached an agreement with ELEVEN SPORTS NETWORK to broadcast the EHF Champions League for four seasons across four markets. As of the 2015/16 season through to 2018/19, ELEVEN SPORTS NETWORK will be the exclusive broadcaster of both the VELUX and WOMEN’S EHF Champions League competitions for Belgium, Poland, Malaysia and Singapore. In addition to the TV broadcasting rights, the deal also comprises the OTT, IPTV and mobile rights for each market. “We are very excited to have ELEVEN as broadcast partners. The partnership will increase the global exposure and quality of EHF Champions League coverage across both linear and digital channels to the benefit of the millions of handball and sports fans around the world,” says Peter Vargo, Managing Director of EHF Marketing GmbH. Eleven Sports is the second channel of ELEVEN SPORTS NETWORK to launch, and will be devoted to world-class global sports content, including tennis, cycling, basketball, volleyball, motorsports, amongst others. It will broadcast EHF Champions League games live and exclusively, as well as with repeats and delays for both competitions. Eleven Sports, which launches 22 August with Serie A TIM, will be the exclusive broadcaster of the men’s competition, the VELUX EHF Champions League, with 120 live matches from the Group Phase, live matches from the Last 16, and all 12 live matches from Quarter-finals and VELUX EHF FINAL4. On the women’s side, ELEVEN SPORTS NETWORK also has the rights to 78 live matches from Europe’s most competitive and prestigious handball competition. 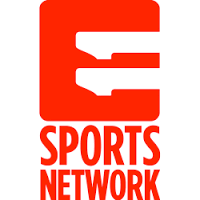 Founded in 2015, ELEVEN SPORTS NETWORK is a brand new global sports network dedicated to delivering world-class international and domestic sports and lifestyle entertainment. Initial launches include 9 channels across 4 select domestic markets with each country receiving over 2,000 hours live coverage of premium sporting events annually, along with news, comprehensive analysis, digital content and local programming. The Pay TV channels are 24/7, multiscreen, full HD and produced to the highest production standards both internationally as well as locally, with local language commentary.